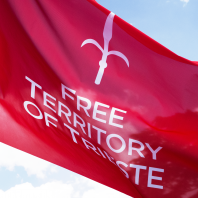 We promote a request and claim procedure to the United Nations (in Geneva), in order to see the recognition of the right to a nationality/citizenship of thousands of citizens of the Free Territory of Trieste. The citizens of the Territory of Trieste are currently in a condition in which they have a very clear right of citizenship defined by a Treaty of Peace fully in force (Annex VI to the Treaty of Peace with Italy). Recently (22 October 2013), the General Commissioner for the Italian Government in Trieste denied this right in a written reply, to which was attached a previous reply by the Italian under-secretary for Foreign Affairs (7 October 2013). Shortly after those replies (5 December 2013), a member of the staff of the Vice-president for the Fundamental Rights of the European Union declared their inability to act upon this matter. The cost for each citizen will be 20€, to support the related expenses as well as our future actions.